The overwhelming number of U.S. visitors to the Yucatan stick to the coasts. And that’s a shame. Unless all you really care about is working on your tan, resolve to go deeper. A host of magical experiences await you in the peninsula’s less-visited interior. Dive into azure subterranean rivers deep within the jungle, experience the passionate solemnity of the community at an evening religious procession, explore the beautiful layers of ruin that seemingly cover every corner of this magnificent peninsula — and there’s so much more. 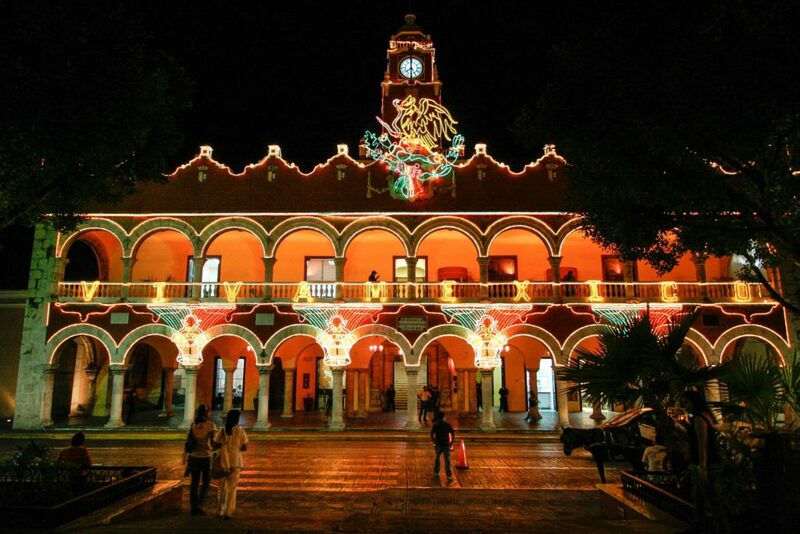 Merida is a great place to visit and the perfect launching point to begin an exploration of the Yucatan’s interior. Long known as the White City, Merida is the first of many surprises for visitors whose conception of Mexico is dominated by the familiar images of the North. The city is filled with European-influenced architecture, has a thriving arts scene, and the large university population imbues it with a fresh, youthful energy. 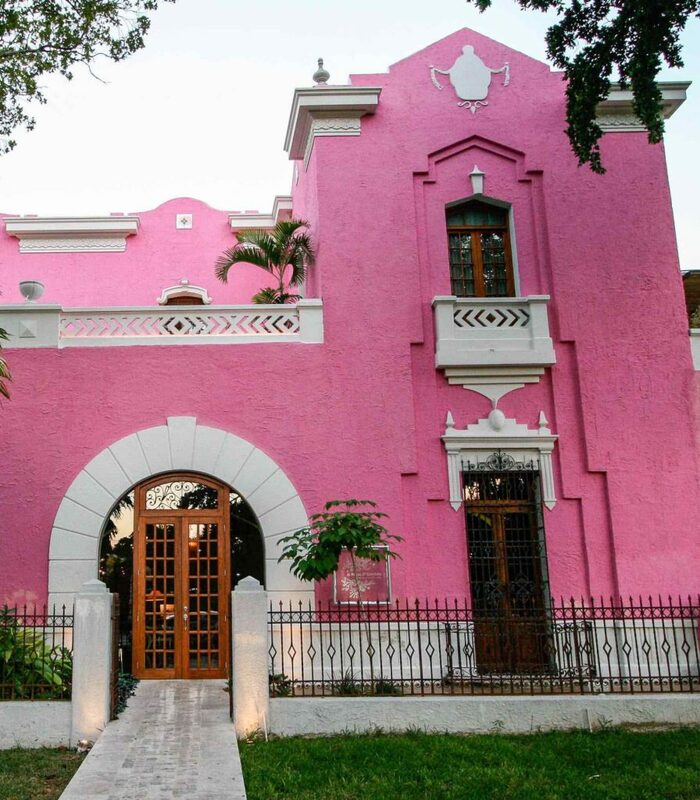 Fly into Merida’s Manuel Crescencio Rejón international airport, pick up your rental car and take the short drive to the centrally located Rosas & Xocolate Boutique Hotel & Spa, a former Baronial manor reopened as a showcase of posh, world-class interior design. The carefully restored old-world façade is colored an irreverent Valentine’s day pink, and that theme of historical sensitivity married to 21st century creative exuberance runs throughout this splendid hotel. After the obligatory slack-jawed look around Rosas & Xocolate, drop your bags in your room, hit the streets and give yourself a nickel tour of the eclectic mix of extravagant mansions on Paseo de Motejo, a grand boulevard often referred to as Merida’s Champs-Élysées. The large historic center is sprawling but imminently strollable. At the turn of the 20th century, the Yucatan was one of the richest states in the entire world, and the affluent landowners showed off their wealth by commissioning some eye-popping Neoclassical architecture. Walk ten blocks south to Merida’s living room, Plaza Grande, and feel the pulse of this nearly 500-year-old city. Facing the square is Merida’s starkly beautiful cathedral, the oldest in North America, dating from 1598. Walk south across the park to admire the impressive Plateresque façade of Casa de Montejo, designed by the Conquistadors. As night falls, the square fills with people, the restaurants and clubs wake up and live bands set up shop on the sidewalks. Grab a park bench and just enjoy the show. End the day back at Rosas & Xocolate in their Moon Lounge, a rooftop bar with gently morphing colored lights and fine views of Paseo Motejo. The next morning, check out and drive one hour South to the village of Cuzama. The humble town of Cuzama presents a good look at typical Yucatan rural life. The ruined sisal plantation Hacienda Chunkanan lies here, first wounded by the invention of nylon sixty years ago and finally finished off by a hurricane in 2002. The former clamor of activity and din of machine noise is now replaced by a green silence. Throughout the Yucatan you will find hundreds of these melancholy hollow shells of once-grand farms. More on that later. Theses days the attraction for visitors is the trio of cenotes hidden in this former plantation’s grounds. The Yucatan is essentially a porous limestone shelf, and there is no surface water here. 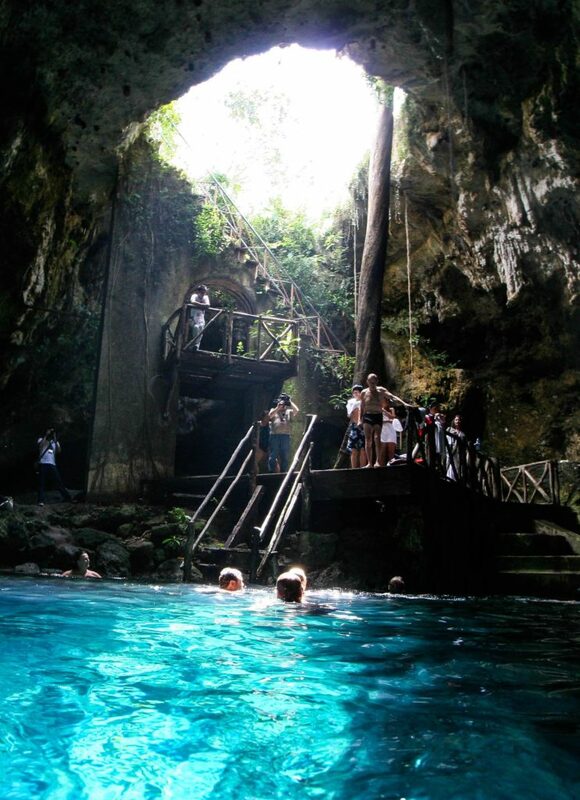 But hundreds of underground rivers and streams called cenotes lie underground, and many are accessible to visitors. For a modest fee, you can hire a guide who will take you on a horse-drawn truck along 100-year-old Decauville narrow-gauge rail tracks straight into the heart of the wooded countryside. The three cenotes (Chelentún, Chansinic’che, and Bolonchoojol) are close together and make for an memorable half-day excursion from Merida. Each of the three cenotes has a different character, and all are otherworldly in their beauty, with stalactites and huge intertwined tree roots dangling down from the cavernous ceilings. My favorite is Chelentún, entered by descending a very steep concrete stair erected 100 years ago. The waters are crystal-clear blue and a cool relief from the heat of the day. Dare yourself to swim into the blue-black darkness to touch the far wall. Once you finally brush your fingers against the cool, smooth contours of the back of the cave, turn back to get your reward: a dazzling view of the now-distant weathered concrete stair that led you there, now brilliantly saturated with light. After your morning of cave diving, make the drive to Izamal, one of Mexico’s Pueblos Magicos, or Magic Cities. A monastery built on the ruins of a Mayan settlement dominates the town center. To the right of the cathedral and also definitely worth a visit is the Centro Cultural y Artesanal, a cultural center inhabiting a former Colonial building and which showcases the very best in handicrafts from all over Mexico. Even better for the weary traveler, in the cool, palm-lined courtyard within you’ll find alfresco dining with great food (the venison tacos are delicious), and even a tiny spa offering a range of treatments. An Izamaleña therapist gave me one of the best massages I’ve had in a long time for very little money. When you’re sated on fine food and great art, hit the streets for a pulse-slowing horse-drawn carriage ride to get a closer look at this romantic city. Many of the buildings borrow the warm yellow color of the cathedral, and the sunsets here create dramatic shadow play over the old golden buildings at dusk. Next drive to Hacienda San Antonio, a meticulously restored 19th century plantation home 14 miles outside of Merida near Tixpehual. A century ago, there were more than 1200 plantations like this one. The vast majority of them are now abandoned and stand in various stages of elegant decay. What happened? At the turn of the 20th century, some 60% of the Yucatan’s economy was involved in producing twine from the fibers of the henequen plant. Like many cultures that grow used to dominance and think the good times will never end, they were ill-prepared to adapt in the late 40’s when the availability of cheap plastics devoured their industry. In a handful of years, hundreds of haciendas were shuttered, their owners bankrupt, and the machinery was left to rust. Throughout the Yucatan you will find once-grand entrance gates — now crumbling — framing overgrown roads that lead off into wildness, and catch glimpses of decaying manor houses reclaimed by the forest. Not all the haciendas have met this fate, however. Some enterprising preservationists — and some of the big hotel chains — have resurrected and repurposed them as posh destinations for visitors, offering a grandeur and sophistication that you would not suspect from the humble surrounding countryside. At Hacienda San Antonio, the 20-foot-high ceilings are seemingly hung from the stars, the rooms awash in Victorian finery, and the estate is preserved in a bubble of privacy and green quietude. Sleep late the next day, treat yourself to a spa service and some wonderful food, and then head to Uxmal. 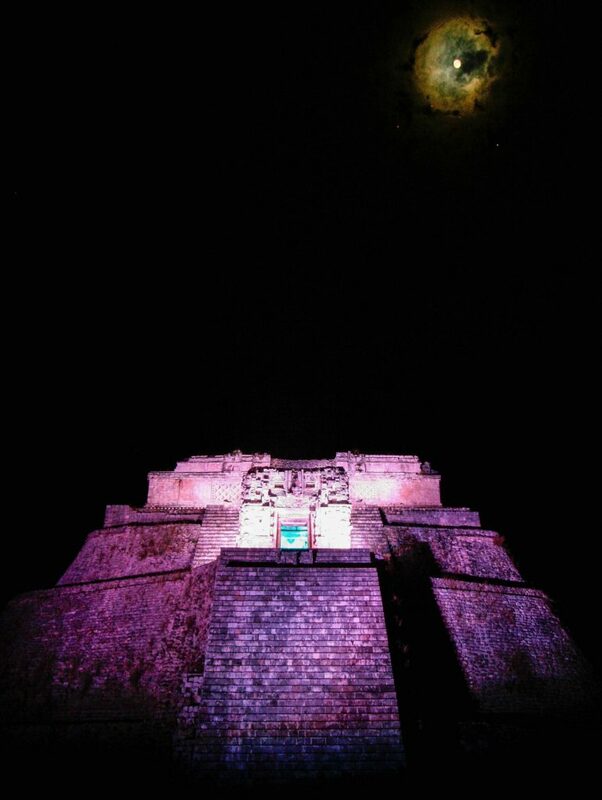 Uxmal is the largest Maya city in the Puuc region. It is far less touristed than the more famous Chichén Itzá– a plus in my book– and well worth a visit. There are several interesting hotel options nearby, but none is more convenient to the visitor than The Lodge at Uxmal, originally built to house the archeological team during the excavations, and literally inside the site itself. Try to arrive in the late afternoon and get settled into your hotel before nightfall. When evening comes, walk 100 yards to the gates to the site for the evening light and sound experience. This strategy ensures that your first glimpse of the majestic buildings will be when they dramatically materialize out of the blackness in brilliant colors as the narrative history echoes out across the stone structures. Your impression of the complex will be entirely different during the day. Uxmal’s Pyramid of the Magician, in particular, is unique in design, unlike any other remnant of the ancient world, and the Nunnery quadrangle is the finest example of Puuc architecture anywhere. At the highest point in the area stands the Governor’s Palace. A single doorway in this building, precision cut and ornately decorated, is an eloquent summary illustration that an advanced civilization flourished here. But most remarkable is that archeologists have determined that three buildings stand on this hill, each built on top of its predecessor. Two corners of the palace have been lightly excavated to allow visitors to view the top corner of the one directly underneath it. Despite the name “thrice-built”, there is evidence that the city has been rebuilt five times, further proof that the Maya have long excelled at building new wonders on the ruins of what came before. Escape the heat of the day by driving to Hacienda Temozun. 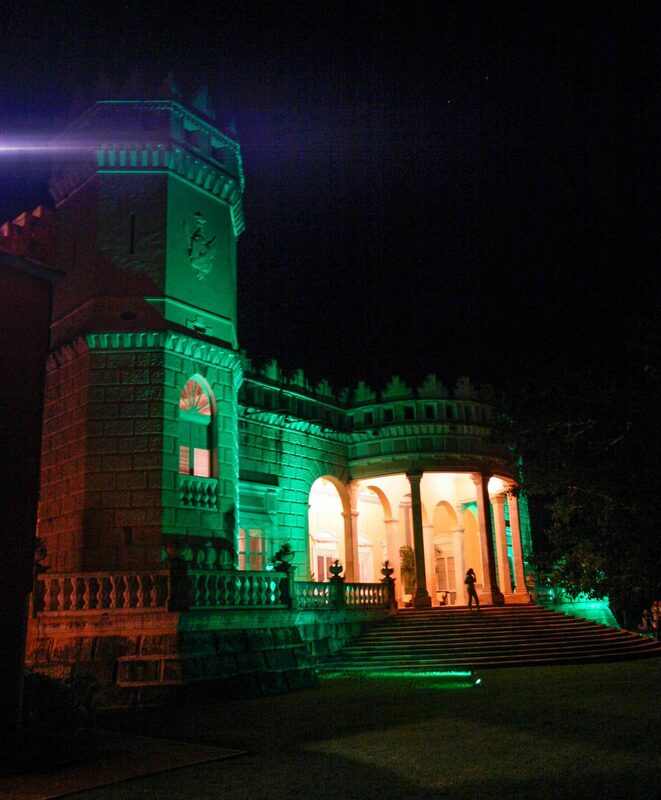 This imposing former henequen plantation is another one of the Yucatan’s success stories. Photographs of luminaries such as Presidents Clinton and Bush adorn the walls. Here you can watch the production of the henequen fiber rope from start to finish on the few remaining machines still in operation, and Temozun is every inch the equal of San Antonio in it’s comforts and luxuries. A stay here is a fine finale to your journey. Interestingly, the owners of Temozun are once again looking to the henequen plant for future prosperity, as scientists experiment with converting the “green gold” into bio-fuel. While they are cautiously optimistic about this latest idea, you get the feeling that whether it is bio-fuel or something not yet conjured into the world, they are determined to once again build anew upon the remains of the old. To walk amidst the ruins from a thousand years ago, and the more recent ones from the last century, it might be strange to feel a surge of optimism about Merida and the Yucatan. But walking through the reanimated haciendas, or joining the vibrant street life in the Plaza Grande in Merida, it’s hard to feel anything else. What is that next thing the Maya will build upon the ruins of their past? For now, Merida, the White City, is thriving — and growing. And like swimming into the darkness of a cenote, exploring the Yucatan’s depths is a journey that rewards the traveler with a uniquely memorable view.